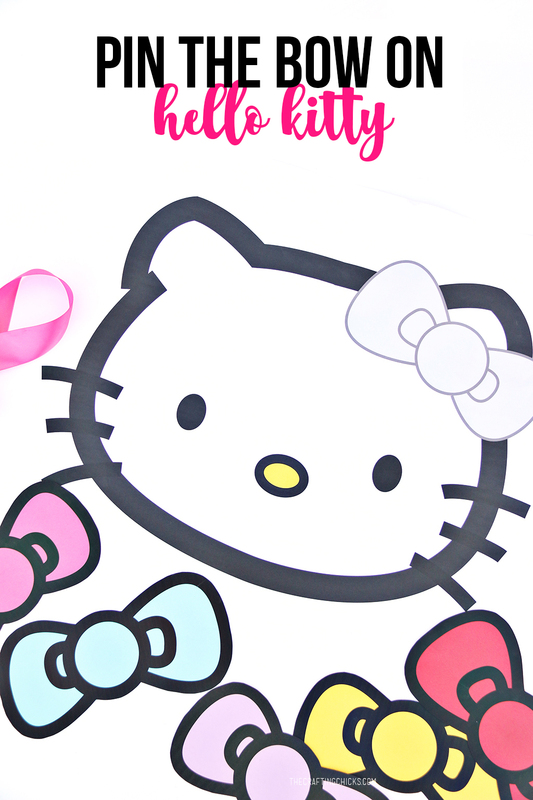 Pin the Bow on Hello Kitty was a fun game the girls loved at our Hello Kitty Birthday Party. 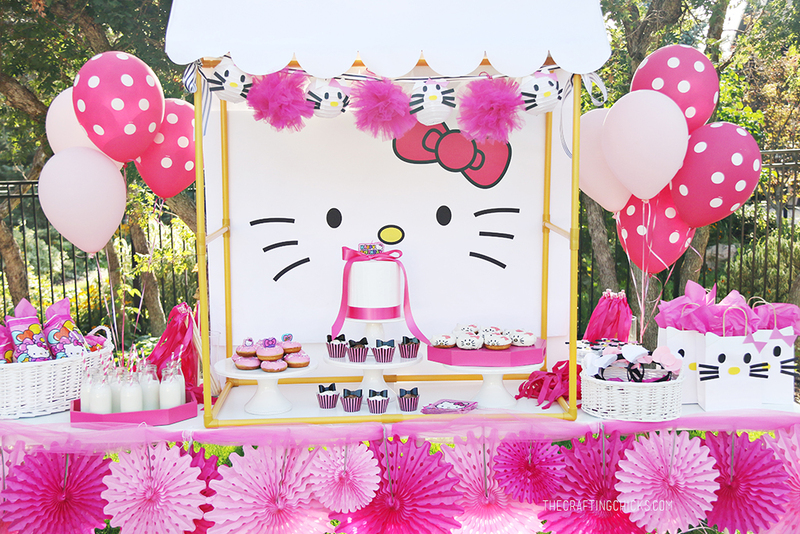 When designing this party we learned all sorts of things about Hello Kitty. 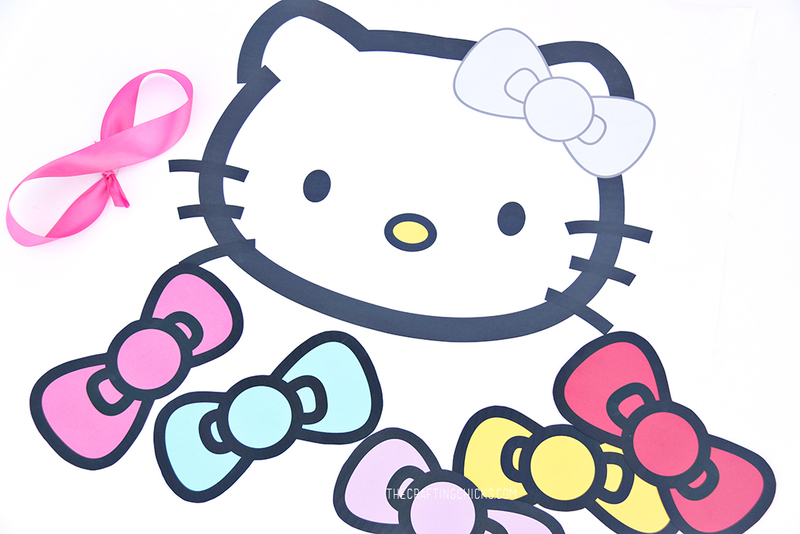 For example, did you know that Hello Kitty has a yellow nose, but her sister and friends have different colored noses? 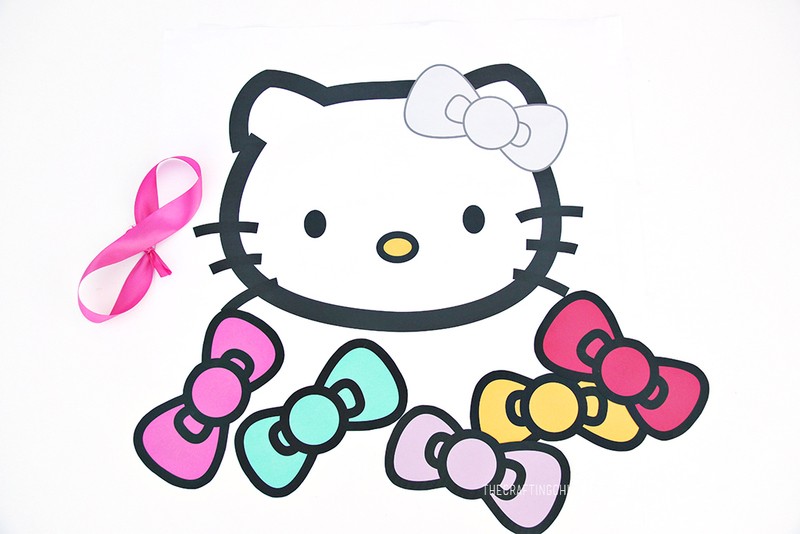 I always thought there was only 1 Hello Kitty with a lot of variations, but nope. Yellow nose = Hello Kitty. We designed this game to go with the Hello Kitty Birthday Party we did on Fun 365. 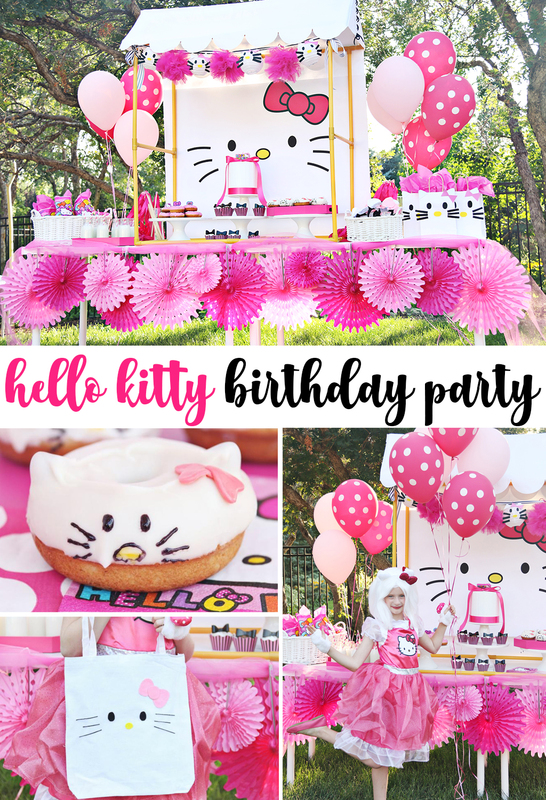 We have the printable backdrop and tutorials for the rest of the party setup, like the Hello Kitty Donuts, Gift Bags, Hello Kitty Totes, and Hello Kitty Headbands. 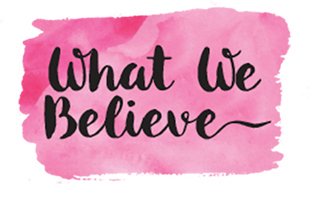 Download the printables below. The download will come as a zip file, which you’ll need to unzip. Once unzipped, there will be 2 PDFs, one is the Hello Kitty face that you will need to upload and have printed as color engineer print. Print the bow template on to different colored cardstock, enough so you have a bow for each guests. Cut out the bows. Hang up the Hello Kitty face, and play as you would with Pin the Tail on the Donkey!